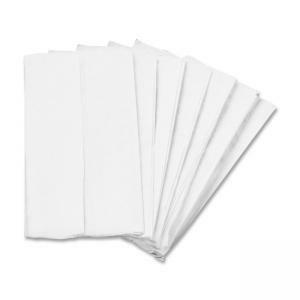 Folded table napkins are designed for general table or institutional use. Each napkin is folded to fit a table napkin dispenser. Single-ply napkins are made of paper with 30 percent post-consumer recycled material.